The Ecumenical Patriarchate responds to the attacks of the Russian Orthodox Church. The process of preparing the granting of autocephaly to the Ukrainian Church is already at a practical level. This caused a lot of negative emotions from the representatives of the Russian Orthodox Church and the UOC-MP, who accused the Ecumenical Patriarchate and Patriarch Bartholomew of “heresy of papism”, interfering in the affairs of other Local churches, and almost preparing a new pan-orthodox schism. Such aggressive allegations could not have been left without a response from the Mother Church - the Patriarchate of Constantinople. 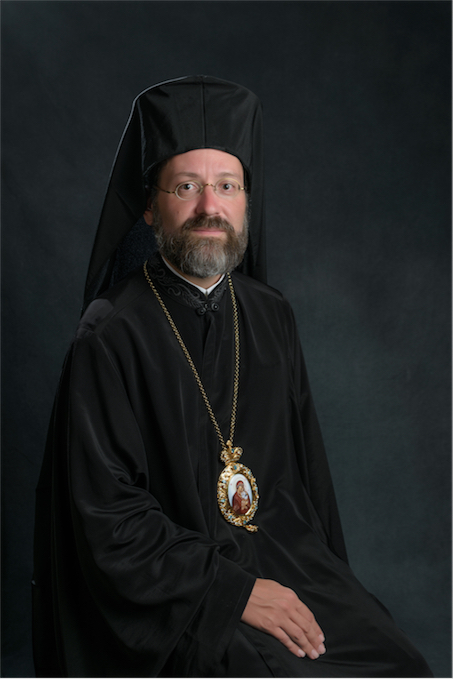 Cerkvarium is grateful to the Archbishop of Telmessos Job (Gecha) for providing detailed explanations on the most painful issues that concern Orthodox believers. Cerkvarium: The Moscow Patriarchate insists that autocephaly can only be requested by the canonical part of a Church, and everything else is “the legalization of the schism.” But all the latest autocephalies arose as a result of separation exclusively from the Patriarchate of Constantinople, and this was very difficult and painful. Are there any recognized rules to who can ask for autocephaly, how and when? After all, the greatest experience in this matter – is in Constantinople. Archbishop Job: If you study the history of the Orthodox Church, according to texts and documents, rather than created myths and false historiography, it is evident that absolutely all modern autocephalies have been proclaimed by the Ecumenical Patriarchate. Even if we take the history of the Orthodox Church in Russia, we see that its autocephaly was self-proclaimed in 1448, when Moscow elected metropolitan Jonas independently, without the consent of the Ecumenical Patriarchate. It is interesting to emphasize that the Orthodox Church in Russia has never been given a tomos of autocephaly! In 1589-1590, Ecumenical Patriarch Jeremias II simply normalized the situation by raising this see to a patriarchal rank, while allowing the Moscow bishop “to be called” patriarch, provided that he would commemorate the Ecumenical Patriarch and consider him “as his head and protos”, as stated in the letter. Later autocephalies that were proclaimed in the 19th and 20th centuries – all were proclaimed by the Ecumenical Patriarchate: the autocephaly of the Orthodox Church in Greece (1850), in Serbia (1879 and elevated to the a patriarchate in 1922), in Romania (1885 and elevated to a patriarchate in 1925), in Poland (1924), in Albania (1937) in Bulgaria (1945 and elevated to a patriarchate in 1961), in Georgia (1990) and in the Czech Lands and Slovakia (1998). Each of these proclamations was linked to a political factor and autocephaly was proclaimed as a way of ensuring the unity of the Church, within the interior of each of these states, as well as the unity between the Local Churches. Archbishop Job: In addition to the Ecumenical Patriarchate, in the history of the Orthodox Church, no other Local Church has proclaimed autocephaly. True, the Orthodox Church in Russia may claim that it proclaimed the autocephaly of the Orthodox Church in Georgia (1943), in Czechoslovakia (1951) and in America (1970), but these autocephalies were not recognized by the fullness of the Orthodox Church as the Orthodox Church in Russia does not have such a prerogative of providing autocephaly. Therefore, these three Churches themselves appealed to the Ecumenical Patriarchate for providing tomoses of autocephaly. Over time, the Ecumenical Patriarchate normalized the situation by declaring the autocephaly of the Orthodox Church in Georgia (1990) and in the Czech Lands and Slovakia (1998). Cerkvarium: Is it possible to consider that the current difficult condition of separation of Ukrainian Orthodoxy is the result of the fact that at one time the Russian Orthodox Church (ROC) ignored the appeal of the Council of Bishops of the Ukrainian Orthodox Church (UOC-MP) of 1991 regarding autocephaly? Cerkvarium: The ROC constantly accuses Constantinople of the “heresy of papism”. But in the same Moscow Patriarchate, the doctrine of the “Third Rome” is very popular, according to which the ROC itself should take the first place in the Diptychs. What can Constantinople do with these imperial ways of the Russian Church? Archbishop Job: The theory of Moscow as “Third Rome” is not an ecclesiological doctrine, nor a prerogative of canonical (ecclesiastical) law. Elder (Starets) Philotheus of Pskov created this myth in the early 16th century. But the Orthodox Church does not live on the basis of myths. The history of the Orthodox Church does not know a ”first” and “second” Rome, but only the “old” (Rome) and the “new” one (Constantinople). There is no third Rome. The Orthodox Church lives, apart from the Holy Scriptures, on the basis of the doctrine and canons of the Ecumenical Councils. It is clearly and evidently indicated that only these two historical sees received special rights and prerogatives at the time of the Ecumenical Councils. And who among the Orthodox today can claim to have supreme authority over the Ecumenical Councils to change their decisions? In fact, every Orthodox bishop, during the confession of faith prior of his episcopal consecration, promised to always adhere not only to the doctrine, but also to the ecclesiastical rules (canons) of the Ecumenical and Local Councils that bind him. Cerkvarium: Metropolitan Hilarion Alfeyev in an interview stated: “Unlike the Roman Church, in the Orthodox Church there has always existed a different system of local Orthodox churches, each of which has independence and no one is subordinate to the other”. And thus, the Ecumenical Patriarchate is placed equally with the others. To what extent is this understanding of the system of local churches correct? What are the boundaries of the intervention of the Ecumenical Patriarch in the affairs (problems) of other local churches? Archbishop Job: Regarding the accusation by some people that Constantinople has fallen into the “heresy of papism”, it must be recalled that in the Holy Scriptures, the Apostle Paul compares the Church of Christ with the body in which Christ is the head and in which we are members (see Eph 5:23, 30; Col 1:18). But for us, the Orthodox, the Church is not something abstract, as for the Protestants, but something very concrete – a theandric organism, which is made up of concrete people. Therefore, according to the Orthodox Church law, the head of the local Church is a concrete person – the bishop. And according to the 34th Apostolic Canon, the bishops of the regional Church must recognize who is the first (protos), and recognize him as their head, and they must do nothing important without his knowledge. This rule has always been applied to the universal Church, because our Orthodox Church is one, it is the “One, Holy, Catholic and Apostolic Church”, and not a confederation of separate independent Churches, as we see in Protestantism. As far as the Church is united, one body – the body of Christ –, it has one head. The Church is not a multi-headed monster! Therefore, in the letter that raised the Moscow throne to a patriarchate in 1590, it was stated that the bishop of Moscow must recognize the apostolic Constantinopolitan throne as “its head and protos”, as the other Orthodox patriarchs do. To renounce this means not only to lose these privileges that were given to the see of Moscow by patriarchal acts of Constantinople, but also to depart from the Orthodox doctrine of the Church, in accordance with the decisions of the Ecumenical Councils and the Holy Scriptures. Cerkvarium: What special privileges or functions does the Ecumenical Patriarch have within the framework of coordination? Archbishop Job: The Ecumenical Patriarch is not only one among the patriarchs in the Orthodox Church. He is not only “the first among equals”. Incidentally, the Latin formula “primus inter pares” is nowhere to be found in Orthodox Church law, which, on the contrary, refers to the “seniority of honour” (presbeia timês), indicating a certain hierarchy or at least some sort of order. Having this “seniority of honour” according to the sacred canons, the Ecumenical Patriarch, as the “head” and “protos” in the Orthodox Church, must ensure the unity of the Local Churches and coordinate them. This was evident in the 20th century in the preparation of the Holy and Great Council of the Orthodox Church and in the coordination of the Local Churches in the inter-Christian dialogue at the universal level. Proceeding from its role to ensure the unity of the Local Churches and to coordinate them, the Ecumenical Patriarchate proclaims the autocephaly of new local Churches, as has already been said. Furthermore, according to canons 9 and 17 of the Fourth Ecumenical Council, the Ecumenical Patriarch has the right to accept appeals (ekkliton) from clerics and bishops (including those from other Local Churches). He also has the right to establish stavropegia (including those on the territory of other Local Churches). Cerkvarium: How can one believe the Spokesman of the ROC that it has massive support for its position in Ukraine among the primate and episcopate of other Local Churches? How can the statements of the heads of other Greek churches be interpreted regarding the fact that Ukraine is exclusively the canonical territory of the ROC? Is there a Pan-Orthodox consensus on this? Archbishop Job: In your question, the main thing is to distinguish two things: the first is the recognition of the UOC-MP, headed by the Metropolitan of Kiev and all Ukraine, Onuphriy, and the second question is the jurisdiction over Ukraine. Regarding the first point, it is clear that among the three Orthodox jurisdictions in Ukraine at the moment (the UOC-MP, the UOC-KP, and the UAOC), only the UOC-MP is the only Church recognized by universal Orthodoxy as it is part of the Moscow Patriarchate, which received its canonical status from the Ecumenical Throne, which is in communion with all the local Orthodox Churches. The other two groups, since 1989, have split off from the Moscow Patriarchate and are therefore considered to be schismatic and are not recognized by any local Orthodox Church. Therefore, when Ukraine is no longer a part of the Russian Empire (as well as of the Soviet Union), and when it endures an ecclesiastical schism for almost 30 years, through which millions of people are outside the canonical Church, and with which, to this day, the Orthodox Church in Russia (that is, the Moscow Patriarchate) is not able to correct it, the Ecumenical Patriarchate is obliged to take appropriate measures in accordance with its prerogatives in order to ensure ecclesial unity. At the same time, it should be emphasized that it does not interfere in the affairs of another local Church, but acts on his canonical territory – on the territory of the Kievan Metropolis. Cerkvarium: Regarding constant threats in breaking eucharistic communion. Is the Ecumenical Patriarch ready for such a form of protest against Ukrainian autocephaly from the ROC? Will it be supported by other local churches? Imagine that Ukraine gets autocephaly, and the ROC does not recognize it. What's next? As Kallistos Ware said, you cannot “abuse the Eucharist,” that is, blackmail the suspension of eucharistic communion. How can the break of eucharistic communion affect the ecclesiastical conscience of the Russian Church? Is it important in this case to know who is the initiator of such a breakup? Archbishop Job: I agree with Metropolitan of Kallistos of Diokleia regarding the “abuse of the Eucharist.” It is necessary to stop eucharistic communion because of important, dogmatic reasons, and not because of whims. Often, we hear from the mouth of the representatives of the Orthodox Church in Russia threats that a more terrible schism will happen than the one of 1054. Anyone who knows church history well knows that the so-called Great Schism of 1054, is also a great myth. The anathematization of each other, on the part of Rome and Constantinople, was the result of an unsuccessful attempt to restore eucharistic communion between the two Churches that had been interrupted at the beginning of the 11th century, due to the addition of the “filioque” in the Creed. Due to this addition, Constantinople suspected that Rome had changed the faith. The question was dogmatic. Therefore, incidentally, today the dialogue between the Orthodox Church and the Roman Catholic Church is of a theological nature. Now, with regard to the issue of schism and autocephaly in Ukraine, everyone knows that the problem is not a theological one, and there is no need to blame anyone in heresy. Therefore, threats in breaking the eucharistic communion if Ukraine receives autocephaly is likely to be an abuse of the Eucharist. Cerkvarium: Moscow threatens that in the case of granting Ukraine autocephaly will a bloody massacre happen here? Does Constantinople have a plan for creating an autocephalous Ukrainian church peacefully and without war? How can the restriction of religious rights and freedoms of those who want to remain under the authority of Moscow be prevented, and how can the total repartition of church property be prevented? Archbishop Job: As has just been emphasized by Metropolitan Emmanuel of France in an interview, “The Ecumenical Patriarchate does not threaten and is not threatened. The Mother Church has shown that it cares about the reconciliation of disputes and the overcoming of schisms and in no case wants new ones.” The Ecumenical Patriarchate does not propose autocephaly in Ukraine as a weapon for war, but as a medicine to mend the ecclesiastical schism, which has lasted for almost 30 years. As we mentioned, the entirety of the episcopacy of the UOC-MP proposed this medicine to the Moscow Patriarch in 1991 and 1992. As we have shown, during the 20th century, the Ecumenical Patriarch, on the basis of his prerogatives, always ensured the unity of the local Orthodox Churches and proclaimed a line of new autocephalous Churches as a way to ensure the unity of the Church in the bosom of each new local church, as well as the unity between all the Local Churches. The role of the Ecumenical Patriarchate is to serve the unity of the Orthodox Church. Cerkvarium: The Russian Orthodox Church insists that the granting of autocephaly to Ukraine is a blow to Pan-Orthodox unity. Does the refusal to take part in the Pan-Orthodox Council not undermine such unity? Archbishop Job: Today, in the Orthodox Church, they often talk about conciliarity, forgetting that there is no conciliarity without a primate. Unfortunately, many Orthodox people, in the struggle against papism, borrowed Protestant arguments, and completely rejected primacy. But the sacred ecclesiastical canons clearly state that there can be no synod (or council) without the protos, nor the protos without a synod. This is very well formulated in the 34th Apostolic Canon, which states that bishops must recognize the one who is the first (protos) among them and consider him the head (kephale) and do nothing important without his consent, but the former cannot do anything without the consent of all. 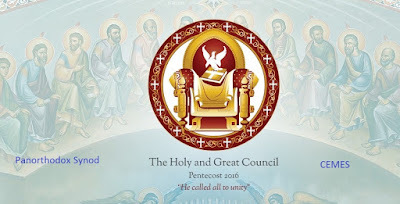 “For in this way there will be concord (homonia), and God will be glorified through the Lord in the Holy Spirit.” But within the framework of conciliarity, the church canons emphasize that the first (protos) has the responsibility to convoke the synod (or council), and others have the duty to take part in it. For example, the 19th canon of the Fourth Ecumenical Council emphasizes that bishops who ignore the convening of a synod without reason should be corrected. Today, the refusal in the Orthodox Church to recognize the Ecumenical Patriarch as “first” and as “head” and to assert that the Orthodox Church is not one Church, but rather a certain confederation of independent local (or even national) Churches is contrary to the spirit of Orthodox ecclesiology and conciliarity, and therefore does not help to reach concord, to resolve conflicts and to cure schisms, but on the contrary contributes to the fragmentation of Orthodoxy and the aggravation of conflicts and schisms. Cerkvarium: Thank you, Your Excellency! Lotsios Ioannis στις 1:23:00 π.μ.